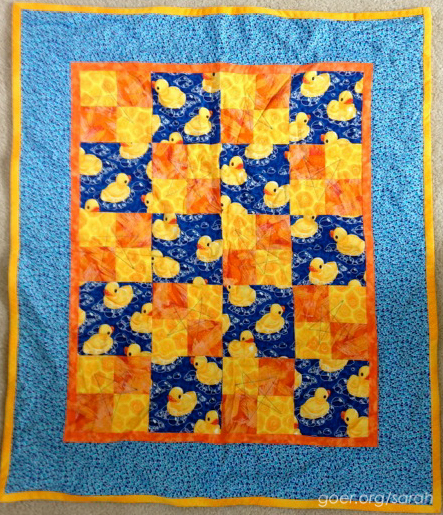 After I made a rubber duck quilt for my sister, I used my leftover duck fabric to make this baby quilt. 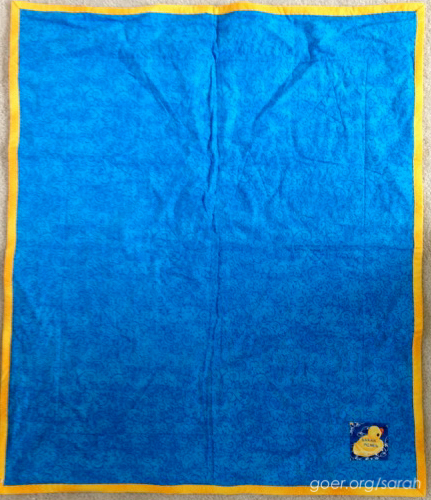 I paired the ducks with some new fabrics, but used the same color scheme. This one was given as a gift to my best friend and Matron of Honor at my rehearsal dinner in July 2009. Her daughter was 6 months old at the time. It's quilted using a walking foot, but I made decorative stars with my stitching. With large feature blocks and 4-patch blocks (6" finished) that I strip pieced, it went together very quickly. The quilt is about 36" by 42". Gotta love the small size of a baby quilt for speed as well! My simple label on the back just has my name on it. Posted in Quilting. 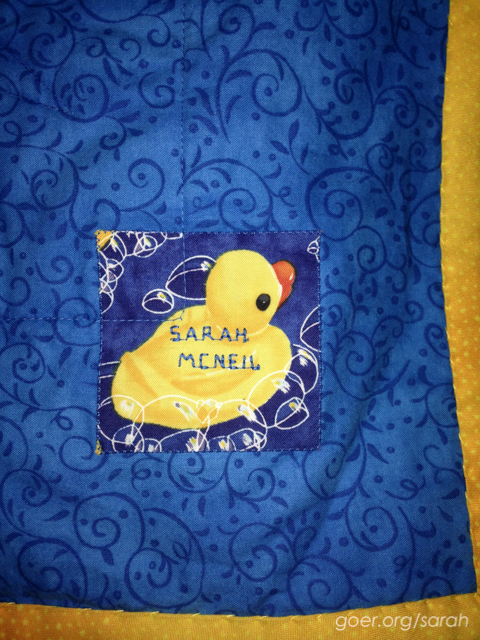 Tags: finished quilt on September 18, 2014 by sarah. Cute! Makes me want to sing Bert and Ernie's rubber ducky song!! Oh, I love Eric Carle. :-) Thank you for visiting.